Sea otters are good indicators of ocean health. In addition, they are a keystone species, offering a stabilizing effect on ecosystem, controlling sea urchin populations that would otherwise inflict damage to kelp forest ecosystems. The kelp forest ecosystem is crucial for marine organisms and contains coastal erosion. With the concerns about the imperiled status of sea otter populations in California, Aleutian Archipelago and coastal areas of Russia and Japan, the last several years have shown growth of interest culturally and politically in the status and preservation of sea otter populations. Sea Otter Conservation brings together the vast knowledge of well-respected leaders in the field, offering insight into the more than 100 years of conservation and research that have resulted in recovery from near extinction. 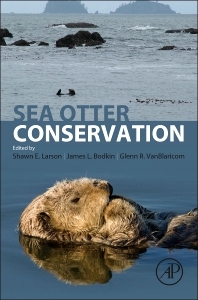 This publication assesses the issues influencing prospects for continued conservation and recovery of the sea otter populations and provides insight into how to handle future global changes. scientists studying sea otters, researchers across marine biology, marine ecology and marine conservation. 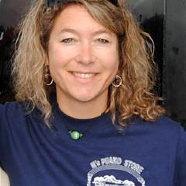 Dr. Shawn Larson received her Ph.D. from the University of Washington School of Aquatic and Fishery Science, has been the Curator of Conservation Research at the Seattle Aquarium for 22 years, and has been studying shark biology and ecology for 14 years. Dr. Larson has published over 50 peer-reviewed scientific papers and abstracts on the biology and ecology of marine animals. Dr. Larson has organized and run international shark conservation workshops for over 12 years and is currently a member of the International Union for Conservation of Nature (IUCN) Northeast Pacific Shark Specialist Group tasked with defining the conservation status of all shark species in the northeastern Pacific.